Join the Friends of Collier Library to support improvements in your university library and get library privileges for your family, organization, or business. Universities rely heavily on libraries. The library is traditionally the center of a university’s intellectual life. In order to provide the resources necessary for scholarly work and undergraduate research, more and more libraries look to Friends organizations for support. With this in mind, the University of North Alabama proudly maintains the Friends of Collier Library. We are asking our friends to come together to create a community of scholars and library enthusiasts to help Collier Library serve its patrons. The purpose (or mission) of the Friends of Collier Library is to promote the importance of the library as the center of academic life at the University of North Alabama; to promote learning, teaching, research and retention; to provide financial support to enhance library resources and services; and to increase awareness of the library's resources, services, and needs to students, faculty, staff, alumni, and the local community. Membership can be requested online or in person (forms may be picked up at the Help Desk). Individuals, families, community organizations, and local businesses are all welcome as Friends of Collier Library. Benefits including borrowing privileges for everyone with a current membership card and other benefits as described below. All members will also receive a newsletter or University Librarian's update. Your gift to Collier Library is tax deductible to the extent allowed by law. 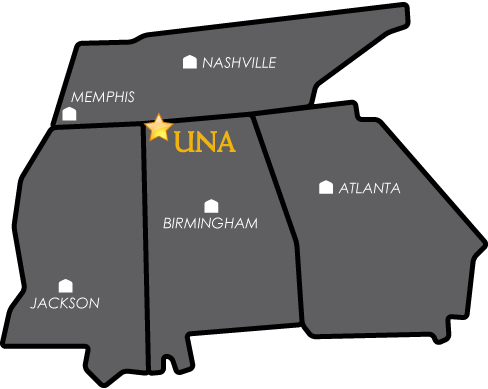 All checks should be made payable to the UNA Foundation.